Nashville’s popularity as a vacation spot has grown dramatically over the last few years. I knew my musician daughter would love all of the live music options in Music City, but I didn’t know if family friendly Nashville was a reality. The good news is Nashville can be family friendly – if you learn from our experiences. 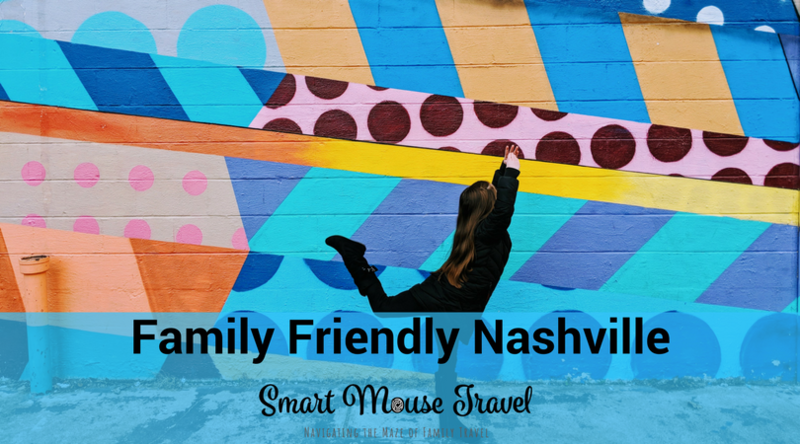 Find out 6 ways to make Nashville family friendly and the 1 big mistake I don’t want you to make. How Do I Make A Trip To Nashville Family Friendly? Broadway is where the action is in downtown Nashville. This stretch of road has countless neon signs enticing you into bars with live music streaming out of the doors and windows. On Friday morning we did a tour of the Ryman Auditorium. After finishing the tour around noon we walked down to Broadway intending to look around before going to the Country Music Hall of Fame and Museum. Instead we followed the siren song of Dozzi into Dierks Bentley’s Whiskey Row. We managed to grab a table near the stage and over two hours later we realized we missed our chance to see the museum. 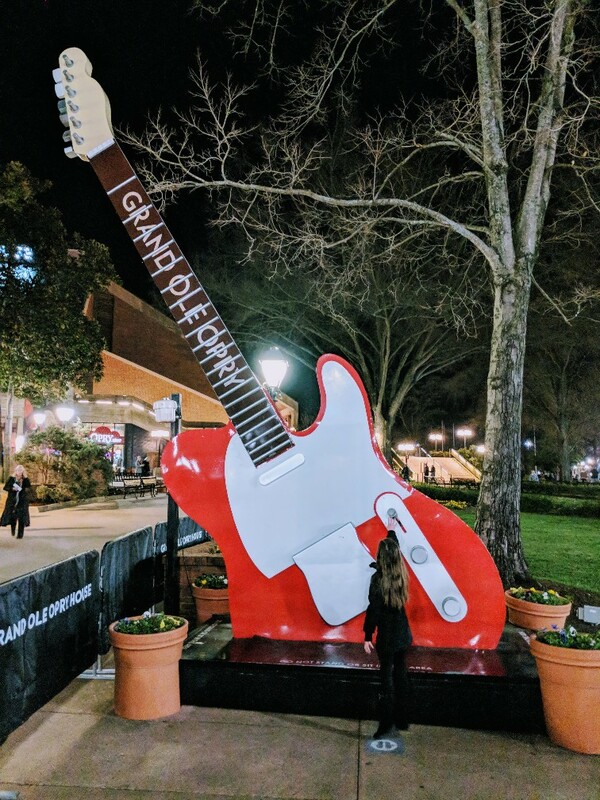 Our (accidental) timing was perfect for a family friendly Nashville experience. Just as we were finishing up the party people started arriving. On Saturday we had dinner at Jeff Ruby’s (yum). After dinner we walked back to Broadway to see what nighttime crowds were like. The atmosphere was crazy, rowdy, and loud even though it was only 7:30 pm. I am so glad we experienced Broadway during a weekday afternoon! Please note: Most bars in the Broadway area allow children during the daytime hours, but not past late afternoon/early evening. They call Nashville Music City for a reason. I have never seen live music at so many places at all times of day. Almost every restaurant or bar we visited in Nashville had live music. There was a piano player at Jeff Ruby’s, a cover band at Sambuca’s during brunch, and a great country band at a bar. We found that the performers seemed to really enjoy it when everyone (especially the kids) were into the music being played. 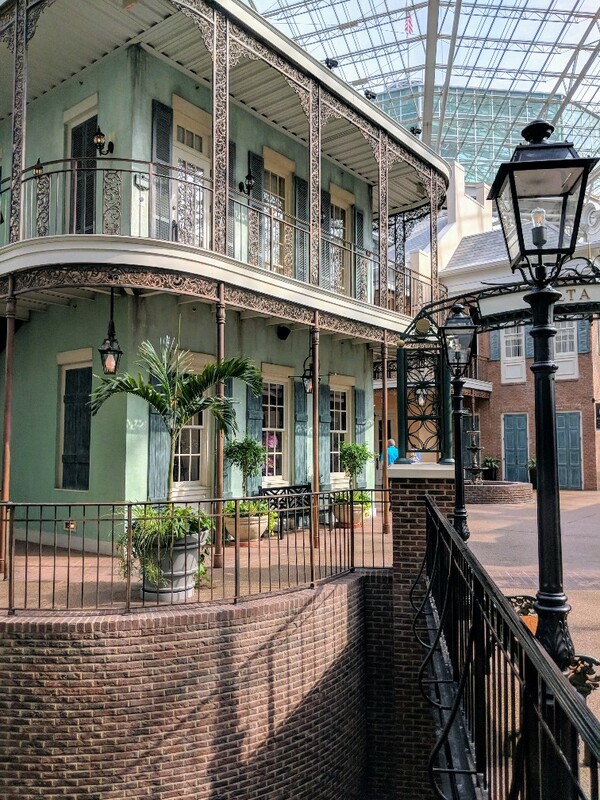 We chose Gaylord Opryland Resort as home base for our Nashville family friendly trip. This immense and beautiful resort was perfect for our family. The atrium-view two-queen room we booked was plenty spacious, had a split bathroom, and a little balcony that was perfect for my husband and me to unwind while Elizabeth fell asleep at night. Elizabeth loved the real plant life, the Delta River Boat Cruise (inside the hotel!) and all the water features found throughout the hotel. The only drawback of staying at Gaylord Opryland was the location. Most of the activities we had planned for our weekend trip took place closer to the downtown area, so we spent a lot of time in the car. Had it been a longer trip I don’t think I would have noticed the commuting time. 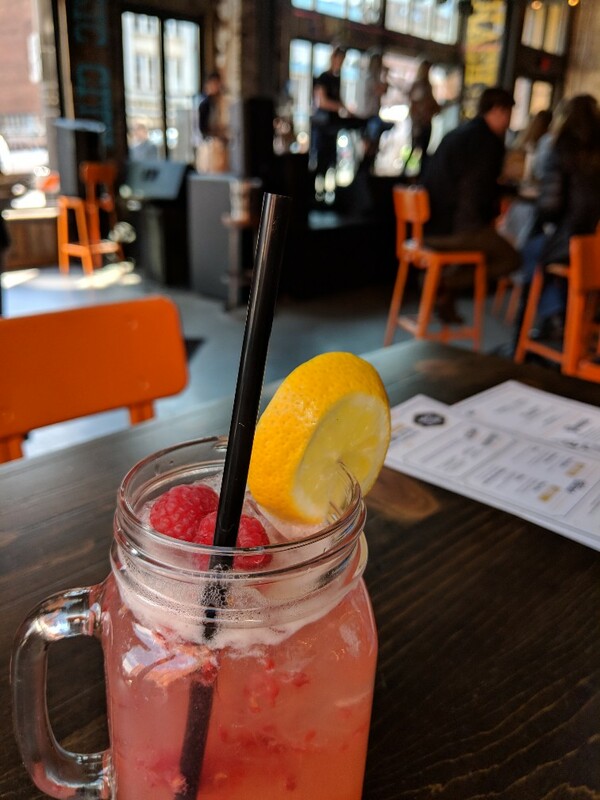 If you want to stay closer to the attractions I would carefully read reviews because so many single, young people visit Nashville (I’m looking at you, destination bachelorette party). I imagine some hotels in downtown Nashville would get quite rowdy. We are casual country music fans. I mix country music into my playlists and spent a lot of time listening to country music in the 1990s with my dad. 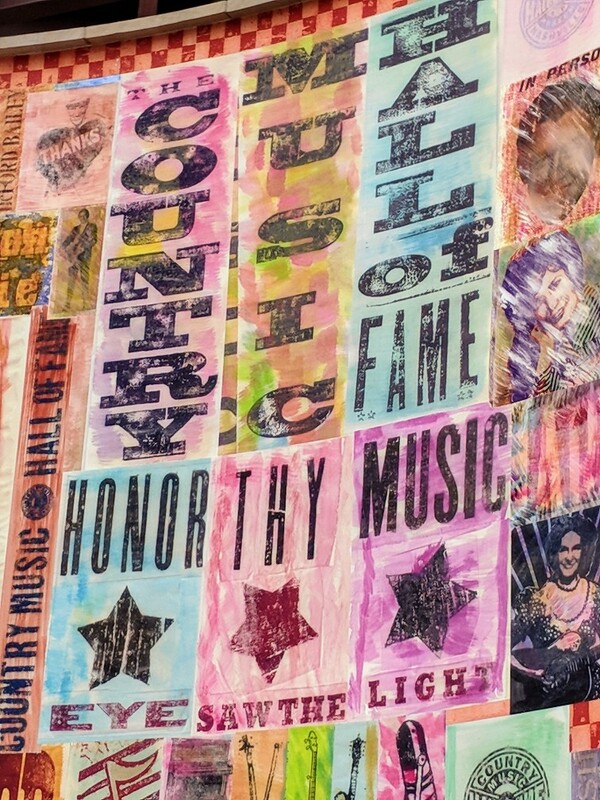 All of the “Best of Nashville” lists included the Country Music Hall of Fame and Museum. We did enjoy some of the exhibits like the gold and platinum record wall, Elvis’s limousine, and an interactive exhibit where you become a country performer, but much of the impressive museum and history was lost on us. I think this museum can be skipped if you are not a huge country music fan. The Grand Ole Opry is a live radio show that has been on the air continuously since 1925. The show is broken into four 30-minute segments with a 15-minute intermission between the 2nd and 3rd portions. There is an announcer that introduces the emcee for each segment and does all the live commercials during the show. The emcee is a Grand Ole Opry member that then performs before introducing other acts for the segment. At the end of the segment the emcee usually performs one final song. The acts that you can expect at the Grand Ole Opry vary greatly from singing cowboys, old-time Western style music, classic country music, bluegrass bands, comedians, and hot new country stars. I suggest playing some music from the artists in the lineup before you go to help familiarize yourself and kids with the music you will hear. 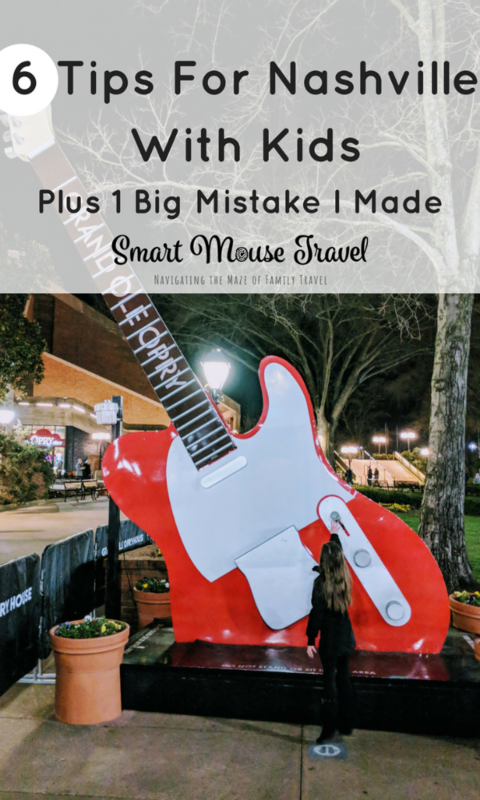 Elizabeth, Mr. Smart Mouse, and I all really loved the wide range of music and various artists we saw at the Grand Ole Opry. However, we saw plenty of restless kids around the theater. You know your family best so add this to your list or not depending on what you think. Nashville’s restaurant scene is on fire. Our local friends are super into all of the best restaurants in towns. 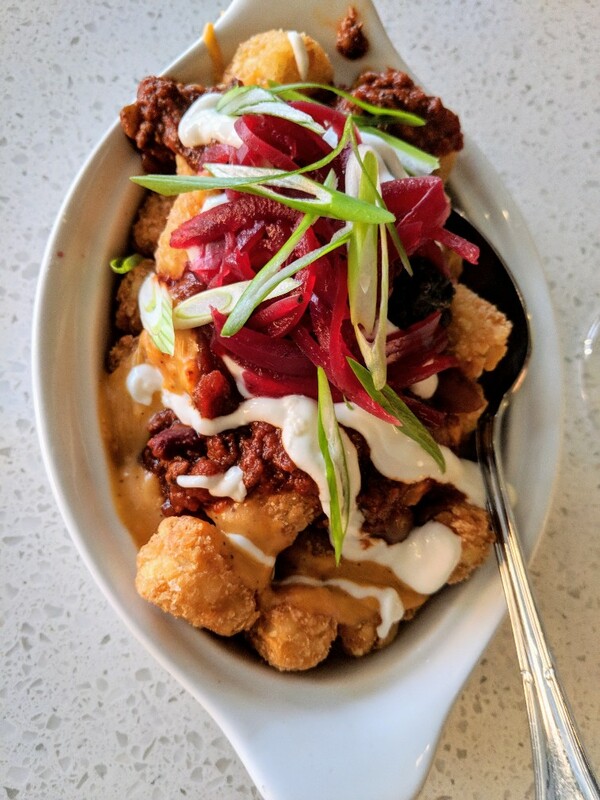 There are tons of James Beard nominated and award winning chefs around town, but surprisingly these restaurants don’t necessarily exclude families. In fact, Mockingbird in the Gulch even had a pre-printed kids menu. We also found Jeff Ruby’s Steakhouse was happy to work with us to craft allergy-safe and delicious family meal options. As long as your family is prepared for a fine dining experience, most places were happy to accommodate a family. Please note: There are some restaurants that do not allow children. Make sure you confirm with each restaurant prior to making reservations or arriving. I was so focused on the live music and country music reputation of Nashville I forgot one important thing – Nashville is a beautiful city with lovely green space options. We have friends we met on a Disney cruise that are Nashville locals. They suggested we visit Centennial Park together. This park has a huge replica Parthenon, walking trails, an antique locomotive, and a pond. 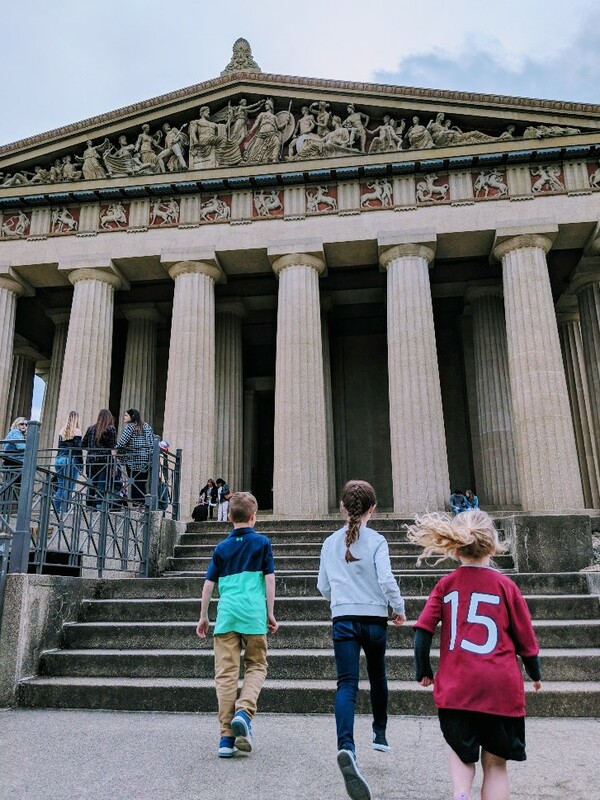 The kids had a ton of fun running up and down the Parthenon stairs, playing tag in the open space, and just enjoying a day outside. This park is located just outside of the Vanderbilt campus. Centennial Park’s location means lots of college kids in addition to families and tourists enjoying the green space. Thankfully our Nashville friends stopped us from completely missing out on the Nashville outdoor experience! If I could go back and re-plan my first visit as a family I would have added in more outdoor options for our trip. Nashville is a music fan’s dream. We loved the opportunity to experience live music almost everywhere we went. The food was fantastic and the country music history was absolutely amazing. Overall we had a wonderful first family trip to Nashville. However, I know that I will do so much better the next time with what I learned about making a trip to Nashville family friendly. I went to Nashville in ’98 – need to get back! I hear the food scene is really awesome! There are so many great places to eat in Nashville it is ridiculous! I have yet to visit but would love to. Great tips for future. Pinned and will use them some days soon. Sounds like a wonderful trip and a lot to do and see. 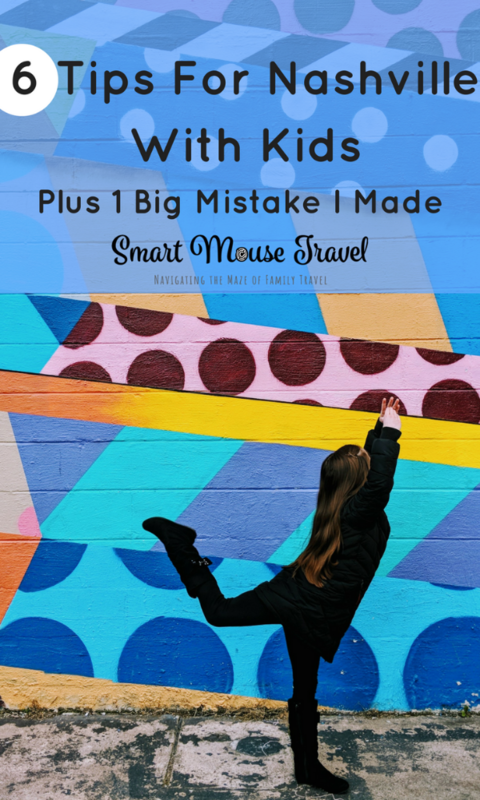 I totally agree that you should not only follow the top 10 attractions! I always try to find some hidden gems when I travel. This is such an informative post! I love that you call out your mistake so others can make sure they spend more time outside. Thanks for sharing.